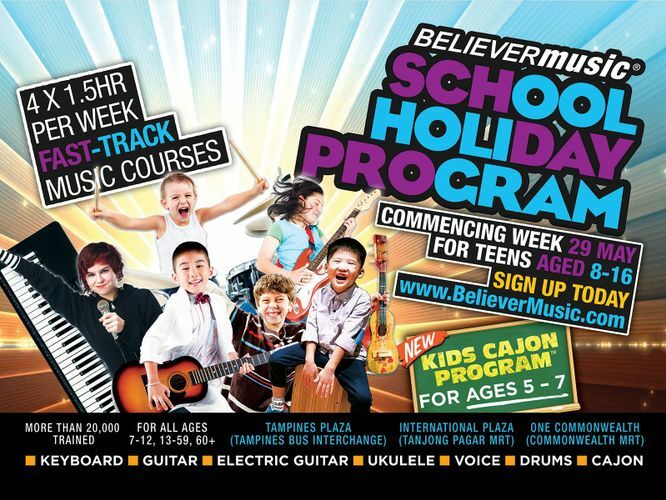 Believer Music's School Holiday Programs are open for registration! Believer Music’s School Holiday Programs are the perfect activity for young students on break this June. Delve into the world of music with customized, fine-tuned courses that will have you playing songs on your own in just 4 lessons, at 1.5hrs per week! *Cajon programs available for kids aged 5–7! Sign up before 21 May 2017 to receive Early Bird BM$ Bonus!